2. This is “这是….”用来介绍他人。This is my friend, Li Ming. 5. What time is it now? It’s half past five.现在几点了?现在5:30. It is time for dinner=it is time to have dinner. 如：He never wears dresses./ he is always late. 4. Do you go to school by …? 你……去上学? 7、What subjects do you have in your school?你在学校有哪些科目? 8、How many classes do you have each school day? 每天你在学校有多少节课? 13. These men /These women/ These children are young /singing/playing. 16. Let’s put…for… Let’s put an A/O/S/N for always/often/sometimes/never. 4. What a hot, sunny day!多么热、晴朗的天啊! 6. What do you like to do in winter?你冬天喜欢做什么? 9. I want to go outside to play in the snow. 10. Why? Because it’s cold outside. 11.What a cold snowy day!多么寒冷多雪的天气啊! 步骤: First. make a big snowball for his body. Second/ Then. make a small snowball for his head. Third. put the small snowball on the big snowball. 13. I think I can. 14.. I have two sticks for his arms. I have two stones for his eyes. I have a carrot for his nose. I have two potatoes for his ears. 17.Can you stand up on the ice?你能站在冰上吗? 18. teach +人(宾格)+ to do事情 I teach you to learn English. He teaches me to fly kites. 5. bring +物品+ for +人(宾格). 8. When is Christmas? It’s on December 25. What would you like to do? I would like to buy a gift. 步骤：First, I am going to put the lights on the tree. Then I’m going to put Christmas things on the tree. the star always on the top. Third/Next we put our gifts under the tree. 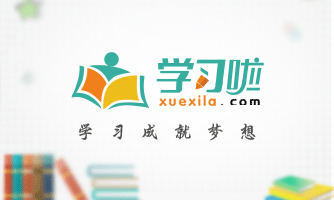 11. be going to+动词原形. What are you going to do? Danny is going to walk to the park. We are going to write Christmas cards to our friends and family. 14. Are you going to send a card? 17.Danny and Li Ming are shopping for Christmas gifts in a shop. 19.give +人+ 物品 give+物品+ to+ 人.
I am going to give them a special gift from china for their Christmas tree. 20. What do you want to buy? I want to buy gifts. 21. What would you like for Christmas?你圣诞节想要什么? 25.I can take pictures and send them to my mother and father. 26.This is for everyone.这是给每个人的。 it is from me. My English teacher asks me to read English everyday.